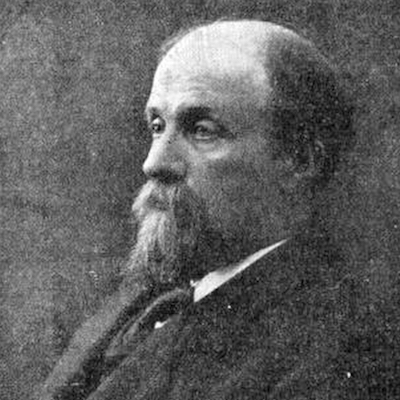 Juhani Aho (originally Johannes Brofeldt) (1861–1921) was a Finnish author and journalist. Aho’s literary output was wide-ranging. He started as a realist and his first novel, Rautatie (Railroad), which is considered one of his main works, is from this period. Later he moved towards neoromanticism with novels Panu, Kevät ja takatalvi, and Juha. His novel Yksin (Alone), published in 1890, controversially bold by the standards of Finnish literature in that epoch, is a roman à clef. This tale of unfulfilled love is the autobiographical novel of Juhani’s passion for Aino Järnefeldt, who, at that time, was secretly engaged to Jean Sibelius, whom she would later marry. The initial feelings of anger and jealousy that reading the novel provoked in Sibelius were soon forgotten and, in later life, Aho and Sibelius were close friends as well as neighbors in Järvenpää. Aho was also one of the founders of Päivälehti, the predecessor of the biggest newspaper in Finland today, Helsingin Sanomat.